We are now at the “Did, too!” point of the summary judgement phase for the AXANAR lawsuit. Motions for summary judgment were filed back in November with each side asking the judge to make certain rulings before the trial even begins…rulings that could actually make the trial (or most of it) unnecessary. The plaintiffs want the judge to rule that Alec Peters infringed on the intellectual property (Star Trek) of CBS and Paramount and order that he be forbidden to make any more Axanar anything. The defense wants the judge to rule that the Axanar works fall under the protection of “fair use” and so any trial is unnecessary. The stakes are high. 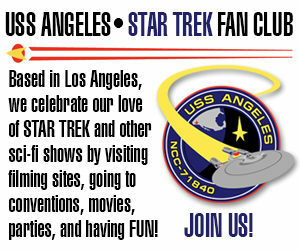 A decision one way or the other could change the world of Star Trek fan films forever! Each side filed a MOTION for (partial) summary judgment mid-November. The is was the “Did!” part–arguments trying to prove that certain facts are totally obvious and beyond dispute. Two weeks later, each side got to issue OPPOSITION briefs, the “Did not!” responses essentially saying that everything the other side just said is poppycock. And then, this past Monday, we had the “Did, too!” filings, the final REPLIES to answer anything in the opposition briefs that needed more arguing. The next step is oral arguments in front of Judge Klausner in his courtroom on December 19. I’d like to look at the plaintiffs’ document first (which is how they do it in court–plaintiff always goes first). They take a very aggressive and angry stance, playing the role (and perhaps rightfully so) of the indignant victim of a blatant wrong committed against them. Many of their examples play more to the emotions of the reader (i.e. the judge), often speaking more generally and trying to carry the argument along on the powerful momentum of heartfelt anger. I call this the “hammer” approach. The plaintiffs come right out of the starting gate with one of their most convincing and impassioned arguments yet, one that is new for them but which I’ve seen and heard from a fair number of fans who routinely argue for the studios’ side of the case. Boiled down to its essence, Defendants’ claim in this case is that they are entitled to create a full-length film featuring copyrighted characters such as Klingons, Vulcans, and Federation officers, along with Star Trek weapons, spaceships, settings, and dialogue – so long as they do not include Captain Kirk and Mr. Spock. This is not the law. Defendants’ theory would permit others, including competing studios, to create “professional” “independent Star Trek films” and television shows, featuring all of these elements. 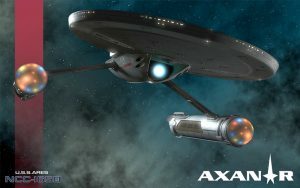 Although this sounds like a very solid and compelling point, I just want to point out one important difference between Axanar and the hypothetical competitive studio-produced “professional” “independent Star Trek film.” One would assume such a film (or TV show) would be shown in a way that charges money for viewing (or features advertising). Prelude to Axanar was shown for free on YouTube. As such, the work itself, Prelude, does not compete with Star Trek directly in the marketplace. As a comparison, a Star Trek movie made by Warner Brothers, for example, could conceivably be playing in the same theater as Star Trek Beyond. If a fan decided to buy a ticket to see “Warner Trek” instead of Beyond, then that would be a direct financial loss for Paramount. Someone watching Prelude online is not buying a ticket or even seeing an advertisement. Giving away Prelude for free makes it a very different scenario. Now, some of you might be saying, “But Alec Peters collected money to build a studio that would make money and to pay himself a salary!” As it turns out, that’s irrelevant. Money was not given to Axanar Productions in exchange for seeing the allegedly infringing work. It was donated to produce the work–totally separate concepts. To illustrate my point, Prelude to Axanar has been viewed about 2.7 million times online. There were about 14,000 donors to all of the Axanar campaigns. That means that Axanar donors represent only half of 1% of all views of Prelude online. 99.5% of Prelude viewers paid nothing to see it…not even a donation. And any money raised through the rental of Ares/Indudtry Studios will be money collected in exchange for services (using the studio), not as a payment to see Prelude. It’s the infringing work itself that matters and whether people must pay to see it–not the butterfly effect that ripples forth from it. And of course, if a work is found to be fair use, then profit becomes entirely irrelevant. So the more transformative Axanar is found to be, the less profit matters at all. The Copyright Act grants Plaintiffs the “exclusive” right to create derivative works and Defendants’ interpretation of the Copyright Act would destroy the longstanding rights of content owners, allowing infringers like Peters to create sequels, prequels and spinoffs without paying any license fees to the creators of the underlying works. One simple example demonstrates why this cannot be the law: Star Trek: The Next Generation, the second Star Trek television series, takes place in a different time period from The Original Series, and includes different fictional characters. However, there is no question that this series was a derivative work, incorporating the very same elements copied by Defendants (Klingons, Vulcans, spaceships, weapons, language, etc.). Under Defendants’ theory, they (or any other commercial television studio) could have produced that series, and there would be no substantial similarity, and thus no infringement. If this were the law, the exclusive right to create derivative works under Section 106 of the Copyright Act would no longer exist. Again, very strong point…if you don’t think about it too much. But if you’ve been reading this case closely, then you begin to realize that TNG isn’t really a good example for two reasons. First, TNG was developed to be sold through television syndication, competing directly against TOS which, at the time, was also being sold directly through TV syndication–direct market competition. Both were also collected and sold as VHS videos. Were TNG to have been given away for free, that might be another story. Second, Prelude was presented in a mockumentary format. TNG featured hour-long dramatic episodes just like TOS. So when looking at the four elements of fair use, TNG would lose two out of four that Prelude would, arguably, not lose: direct market harm and nature of the infringing work/transformativeness. The Axanar Works are not satire, commentary or parody and, by Defendants’ own admission, were never meant to be anything other than a “professional” and “independent” Star Trek work. Further, no case has ever held that the creation of a non-satirical sequel or prequel is “transformative” and there is no basis for doing so here. The defense addresses some of these points in its reply, and I’ll hit those points in Part 2’s analysis. But I do want to say that I still think it’s a bit of a reach to try to call Prelude to Axanar a parody or critical commentary. That said, parody could be in the eye of the beholder. For example, I’ve told some jokes in my day that had loooooooong build-ups that ended with the weakest of punchlines. Does that mean they weren’t jokes? Who’s to say that Sonya Alexander’s one humorous quip about her Klingon nickname isn’t enough to make this count as funny…or critical? And does the author actually need to say, “This is the purpose of my work…” or is that up for interpretation by the viewer? However, even after saying all of that, I personally remain dubious on the claim that Axanar might count as parody. In contrast, Stalled Trek: Amutt Time is obviously a parody because it’s intentionally funny and farcical. But how serious does a fan film have to get to stop being parody? Where is the line? Defendants also claim that there is no specific evidence of monetary damage from the Axanar Works, but the Supreme Court has clearly held that the creation of unauthorized derivative works, as Defendants have done here, constitutes harm sufficient to preclude application of the fair use defense. Here the plaintiffs have skipped a step. They haven’t yet PROVEN that Prelude to Axanar is an unauthorized derivative work. They obviously believe it themselves, but just saying it isn’t the same as proving it. And thus their “…as Defendants have done here…” conclusion is legally tenuous and therefore does not necessarily imply there is harm. In an effort to create “disputed issues of fact” Defendants’ Opposition brief raises a number of issues that are not relevant to Plaintiffs’ motion such as whether Peters’ conduct was willful. These issues, at best, relate to the amount of damages to be awarded after a ruling on liability. If you’ve been playing along at home, you know how significant this little footnote (yes, it was actually just a footnote at the bottom of page one) is to the case–willful versus non-willful infringement could be the difference between a 7-figure verdict and a relatively minor 4- or 5-figure verdict against Axanar. Good strategy. Not sure if it’ll work, but good strategy. Defendants’ works copy Garth of Izar, Soval the Vulcan Ambassador (played by the same actor that portrayed that character in the television series Star Trek: Enterprise), the U.S.S. Enterprise and Klingon battlecruisers. We’re going to have to wait for Part 2 to dive deeper into the meaning of “copy,” (it isn’t as obvious as you might think!) but yeah, that list is pretty much the extent of the specific elements that are at issue…because CBS and Paramount can’t copyright planet names, uniforms, stardates, and words like “beaming up,” “transporters,” “dilithium,” and “Warp drive.” Oh, and they can’t copyright a simple logo like the UFP flag; that must be trademarked, and this is not a trademark case. “…copyright protection extends not only to an original work as a whole, but also to ‘sufficiently distinctive’ elements, like comic book characters, contained within the work.”). Characters depicted in audio-visual works are protected by copyright so long as they: (a) “have physical as well as conceptual qualities;” (b) are “sufficiently delineated” so as to be recognizable in different settings; and (c) are “especially distinctive” as containing “some unique elements of expression.” Defendants claim that they only copied “minor” Star Trek characters, but these characters are not “minor,” they have physical and conceptual qualities, are sufficiently-delineated, and contain unique elements of expression. Garth is only “minor” when compared to 700 audiovisual works. He is a central, fully-delineated character in a separately copyrighted television episode, and he is not required to appear in multiple episodes in order to be protected. This is another of the stronger arguments the plaintiffs make. If you take Garth as one of thousands of characters that appeared in hundreds of hours of Star Trek, then yes, he’s minor. But if you look at just “Whom Gods Destroy” (which is a registered work), then Garth is very significant. The defense tackles this in their reply (which I’ll cover more in Part 2), but in my mind, using this argument is potentially problematic for the plaintiffs. You see, compared to the raving psychotic inmate-running-the-asylum appearing for 99% of the time in that one episode, Alec Peters’ Garth is significantly transformed. Yes, both Garths are brave starship captains who charted worlds and fought in the Battle of Axanar. But that’s just backstory. Show scenes featuring the two characters side by side to a non-Trekkie jury for 30 seconds (lacking anyone calling the character by name) and ask them, “Are these two characters the same?” and see what happens. Soval is a Vulcan ambassador, from the planet Vulcan, and his depiction in the Axanar Works is virtually indistinguishable from his appearance in Plaintiffs’ works (he is even portrayed by the same actor). Vulcans, in general, are also protected characters. They are depicted in a consistent manner, as serious, lacking emotion, highly-advanced and logical beings. Vulcans are also consistently depicted with pointy ears and distinctive haircuts, and as part of the Federation. Thus, Vulcans, including Soval, are protectable characters. Ambassador to Earth from the planet Vulcan. As a Vulcan, he is emotionless, stoic, and intelligent…and quite stubborn. He has pointed ears and eyebrows along with a bowl-shaped haircut. Initially disdainful of Starfleet, after interacting with humans and developing a close connection with one human in particular, his opinion of humanity in general and of Starfleet in particular begins to change to one of acceptance and respect. Sound about right? Okay, here’s the thought puzzle: Did I just describe Soval…or Sarek? It’s an interesting legal question. If two different characters in the same copyrighted work are supposed to have “some unique elements of expression” and instead have virtually identical descriptions, do they even qualify as protectable in the first place? More on that in Part 2. Klingons, like Vulcans, are protectable characters as a matter of law. They are a fictional, war-like species, speaking Klingonese, hailing from the planet Qo’noS and are known for engaging in battles with the Federation. Here’s where the plaintiffs have a point…and yet they don’t. They’ve described Klingons, all right, but not with much detail. The idea in a copyright infringement case isn’t to assume the judge or jury can “take a look and decide for themselves.” You actually need to be painfully specific so you can point out all he ways in which the original work was copied. The U.S.S. Enterprise and Klingon battlecruisers are also copyrighted characters. I know Kirk calls the Enterprise “she,” but is it really a “character?” If so, though, then I think there’s an argument for transformativeness, as this Enterprise in Prelude isn’t boldly going anywhere yet. It’s sitting in pieces in dry dock. As for Klingon D-7s being characters, well, I’d think they’d more likely be trademarked designs, but I’m no lawyer. Defendants copied the characters (and character relationships), theme, mood, tone, settings, and dialogue of Star Trek. Defendants went so far as to copy the colors of uniforms, fictional weapons and ribbons and insignias on costumes. Id just like to mention that, with the exception of insignias (and Axanar‘s insignia are actually unique), none of the above is copyrightable. Dialogue maybe, although it has to be a large amount copied directly, not just words and phrases here and there. Defendants argue that the “exact” number of infringements must be established for purposes of statutory damages, but there are no statutory damages sought by this Motion. Again, here’s another reason for the motion for PARTIAL summary judgement. They are not seeking statutory damages…yet. Very clever! Defendants appear to have abandoned their after-the-fact claim that the Axanar Works are “social commentary” – and they clearly are not. I’m not sure when the defendants “abandoned” their claim that Axanar is social commentary. It was menttioned on Page 3 of the DEFENSE Motion for Summary Judgment…and that was submitted only a few weeks ago. Granted, there’s a LOT of stuff to read, and I’m sure the plaintiffs’ attorneys are very busy at the moment with this case and the Andy Griffith Show one. Defendants also argue that they believe their work is a “mockumentary” and cite to Wikipedia to somehow support their defense (“a mockumentary has been defined on Wikipedia as a ‘parody.’”). Wikipedia is not evidence, and the Axanar Works are not a parody. This point I award to the plaintiffs. I love Wikipedia as much as the next guy, but I doubt the judge will embrace a Wikipedia definition as conclusive. And as I said, my gut just tells me that parody is gonna be tough to prove. Perhaps not impossible, but certainly a challenge. Defendants claim that the nature of the Axanar Works is “non-commercial” but the category given any deference for fair use by the first factor of Section 107 is “nonprofit educational purposes” which the Axanar Works are not. Well, Prelude to Axanar is definitely non-profit (being shown on YouTube for free). As for educational, well, documentaries carry that descriptor as an assumed quality of the genre. Just because it’s entertaining sci-fi doesn’t mean Prelude wasn’t intended to educate a specific audience…in this case Star Trek fans about a previously little-known battle from an obscure role-playing game supplement from the 1980s. Defendants do not even address the second and third fair use factors, conceding that these factors weigh in Plaintiffs’ favor. Did the plaintiffs bother to read the defense motion? Axanar attorney Erin Ranahan covered ALL FOUR fair use factors. Did she have to waste the judge’s time repeating herself in the opposition brief? This factor examines whether the plaintiff would be harmed if the use at issue were permitted to proliferate. Here, there is no question that Defendants’ conduct – creating a professional “independent Star Trek film” – if permitted to continue – would cause great damage to Plaintiffs and the market for their works. Then I need to ask again: If the damage is so great, why allow all the other 100+ fan films to stay up on YouTube…along with Prelude? By Defendants’ logic, they would be permitted to create a prequel to Star Wars, like Rogue One, so long as their “independent, professional film” did not feature Luke Skywalker and Han Solo. As I stated at the beginning for the TNG example, such a Star Wars prequel would also need to be distributed for free over YouTube and feature a mockumentary-style format. Lucasfilm and Disney allow that very thing and even encourage it from fans. Just take a look at this year’s Star Wars Fan Film Awards winners. Defendants object to the imposition of an injunction, but their objections are based on their claim that the Axanar Works are fair use – and they are not. Defendants also claim that an injunction would be improper because it would prevent Defendants from creating lawful parodies, but Plaintiffs do not seek to, and cannot, prohibit lawful conduct. The injunctive relief sought is only intended to preclude continuing infringement of Plaintiffs’ work. Defendants, their agents, servants, employees, attorneys, successors, assigns, subsidiaries, and all persons, firms, and corporations acting in concert with them, are hereby restrained and enjoined from directly or indirectly infringing the copyrights in the Star Trek Copyrighted Works, including but not limited to continuing to distribute, market, advertise, promote, produce, sell, or offer for sale the Axanar Works or any works derived or copied from the Star Trek Copyrighted Works, and from participating or assisting in any such activity. Um, Judge Klausner, I HAVE A BLOG DEDICATED TO DOING THAT EXACT THING!!! It’s called “Fan Film Factor” and it promotes Star Trek fan films that derive their content from Star Trek Copyrighted Works! Now, I’m not sure if attorney David Grossman intended to trample on my first amendment rights specifically or violate Section 16600 of the California Business and Professions Code, but that’s what’ll happen if the judge issues Grossman’s injunction order. And backpedaling now is a little late, since Loeb and Loeb already filed a motion with that exact wording. The judge legally can’t change it, only reject it…which I hope he does, for the sake of my blog!!! Oooh! I was right in my question about the request possibly covering all of the donors? Can you remind me what your question was, Joshua? When I read the third-from-last paragraph of this post it reminded me of my previous comment. So that means too, as a donor, that Star Trek Logs is also endangered by this aspect? If you’re talking about your Facebook group then, yes, quite possibly, Colin. So then the injunction would include anyone who in anyway supported axanar? Such as donors, supporters, or people who are generally rooting for Axanar? I don’t think it would apply to those just rooting for Axanar, but donors did have a direct business interaction with Axanar Productions. So yes, it would cover them, Mickey. Sweet! I’ve never been injuncted before! Oh No! That means, as a donor, I can never mention, talk about, point to, or otherwise reference any copyrighted IP of CBS or Paramount! No more saying ‘Star Trek’ in a conversation or talking about Captain Kirk or Mr Spock. No more posting pictures of my ‘Star Trek Phaser’ I bought. No more talking about episodes of Star Trek by their episode names. Since they are all copyrighted works! Sounds like I really screwed up becoming a donor to Axanar! Not! So if your Blog is now a technical target you should have standing to submit an Amicus Curiae with all of the points you have been making…including the Constitutional issue if the Judge were to grant such a sweeping ruling. Based on that same ruling a person could not create a new or kitbashed ship model from the Star Trek Universe for submission to any number of scale model shows and conventions, or any fan produced blueprints, drawings, etc. And just think of the cos-players and convention goes who dress up the parts. Your second paragraph, on the other hand, isn’t correct. The injunction only affects people affiliated with Alec Peters or Axanar. A run-of-the-mill kit-basher not tied to Axanar would not run afoul of the injunction were the judge to issue it. Yup. This is the adult version of that, forgive me or not: “tort”/retort children use. Sigh. I’ll pass this along to Erin, as well, IDIC. Thanks. I still think Jonathan, that you are pushing a sense of false hope to Axanar supporters. Is the whole thing really as cut and dry for the plaintiffs as you make it sound? You do mention points in the defense’s case but you make them sound very minor and unimportant. I’m not trying to be hateful or a troll (I think by now you know that!) but I feel I need to express my opinion as well. I appreciate you being open to my comments. Plus the fact that you actually allow opposing opinions. 1) The plaintiffs are leaving large holes in their arguments in many places. And I feel that part of my job is to point out those holes. The defense’s arguments are actually more solid. When they do run into a weak point, I’ll call them on it. But in general, I think the defense is, in fact, doing a better job in making their case in terms of actual case-law. 2) (And this is important) If the studios win, I think we’re all gonna know why: Alec Peters (it could be determined) infringed on the intellectual property of CBS and Paramount by making an independent Star Trek film, raising money for it, and distributing it. I suspect that, if Alec loses, many people will simply say, “I toldja so!” or “Yeah, I kinda expected that verdict…” or “He had it coming.” Even the Axanar supporters will probably need no explanation for why the losing verdict happened. If Alec Peters wins, there are going to be a LOT of people who say, “What the HELL just happened?? ?” They won’t get it. They won’t understand how a judge or jury could have possibly not seen this obvious infringement for the heinous crime it was. “Alec Peters should have been blacklisted, bankrupted, and obliterated!” they’ll say. “He probably cheated or used that $1.4 million from the donors to bribe the jury or something!” And that’s why I’m writing my blogs with such a perceived “slant” (if you want to call it that). I’m not giving a sense of “false hope,” Edward. Indeed, the snowball’s chance I originally gave the defense on wining their summary judgement motion is quite a bit higher after reading their latest reply brief. And the 20% chance I thought they had for getting a fair use ruling at trial is now about 50/50. I didn’t bother mentioning that shift in the editorial itself, but that is what I’m thinking. Yes, the case could still go either way (quite easily! ), but that means that I’m not giving FALSE hope to the Axanerds out there. It’s realistic hope. Not a certainty, not a guarantee by any means…but not a lost cause either. I don’t think any Axanerds are delusional about the possible outcomes or why either side might be seen to have won. I sure don’t! It’s a court case for a reason. If the plaintiffs win, I’ll know why because I’ve been reading both sides’ arguments and filings and the fact is they have some good points even if some are not so good. If the defendants win, I’ll know why for the very same reason. The only thing I don’t know is which way the jury will decide the case. And I think that’s probably true for many of us. Either way, I suspect whichever side ‘wins’, the loser’s supporters will say “What the hell? No way!” and the winner’s supporters will say “Toldya so!” That’s just human nature. As for Jonathan’s evaluations of the filings, it’s understood that he has a favorite side but it doesn’t stop him from pointing out where the plaintiff’s case has merit. But let’s be real for a moment. Whoever gets selected for the jury, if it gets that far, will likely be more inclined to favor the little guy over the corporate monster from the start. Everyone loves a David vs Goliath story. Even if they know little or nothing about Star Trek, this just might give the little guy an edge. I actually think that, if Alec loses, his supporters won’t go “What the hell? No way!” I think they’ll accept it (grudgingly) because they understood that CBS and Paramount are huge corporations and that Alec winning was maybe 50/50 at best. If the studios lose, however, I suspect the detractors will go ballistic. And to be honest, I don’t plan to say, “I toldya so!” Most likely, I’ll simply look more closely at the verdict and any remarks the judge makes about the decision and try to figure out what happened and why. Well, now the problem is that Axanar did infringement without paying license fee. It’s a very unpleasant joke, at least a disrespect to the court ! CBS have been asked several times by Alec if there were any problem with his project and they always refused to answer or consider the license approach, it is a fail ! That, too, is a fail ! I could go on with most of the arguments mentioned here, as Garth being minor on not reduced to the sole ‘Whom God Destroys’ episode with the subsequent drastic reduction of harm extent compared to the ‘innumerable infringements’ alleged by Plaintiffs. It is clear they make good points by the way, but it is somewhat borderline and heavily subject to interpretation from the Judge. AhAhAh, absolutely ridiculous ! When you have only ten pages, you don’t waste them on repeating again and again what’s have been explained before (save the Court’s time, remember ?). In no way it could be considered as an admission nor concession of anything. This, also, is disrespect to the Court since the Judge perfectly knows what the Defendants have answered on the matter. In fact, Plaintiffs, failed to argue back and try to manipulate the Court ! – Maybe the Studios failed (again) to convince Youtube there were proven infringement. Youtube might be following this affair closely and, untill the court rules otherwise, they have no reason to get the fanfilms offline now. Actually, it becomes all but unenforceable. Now which of these was featured in Prelude? All 5 have the same shape (somehow) but different designs. Isn’t there a need to a) specify the exact design which was copied and 2) isn’t there a need to register such a design before you can sue someone for copyright infringement? The real question–as you’ll learn when I finally finish writing Part 2–is: does the USS Enterprise count as a character? It’s a fair question. And in the past, the design of the USS Enterprise (specifically the refit from TMP) has been trademarked, not copyrighted. But that trademark has long since expired. The Enterprise shown for, like, 10 or 15 seconds in “Prelude” was the original NCC-1701 that would be traced to “The Cage” (with the pointy antenna thingies on the fronts of the nacelles). I find the plaintiffs filings really hard to read through. Even I, a total amateur can see the holes in their arguments. They don’t know Star Trek, and it seems they don’t know the law, or are just ignoring it in favour of emotional arguments aimed at fooling a jury. I’m pretty sure juries are told clearly to consider all the evidence as rationally as they can. I’m not even going to pretend I’m not biased here, but even trying to be as impartial as I can, the plaintiffs argument and style stinks. I’m actually wondering if the plaintiffs could have done better than this. I mean, yeah, they missed a few obvious things (like the details about Klingon culture beyond being just “a warrior race”), but remember that their job is to fight a fair use defense…and that isn’t easy. I know the detractors think it is, but the “Well, just take a look and it’ll be so obvious to you!” approach isn’t always sufficient to defeat fair use. There are relatively few copyright infringement lawsuits that wind up in federal court–especially at this level (a 50-year-old multi-billion-dollar franchise versus its own fans). And that’s why you’re seeing the same ten-or-so cases being referenced over and over again by both sides…and each side cheery picks the parts of those rulings that support their argument and leaves out parts that don’t. What I’m trying to say is that copyright law doesn’t have a large, established playbook like contract law or employment law does. And it’s VERY case-by-case. That’s why I say again and again that this lawsuit could easily go either way. And that’s why I’m not sure the plaintiffs could have done better. They picked their horse (the “hammer” strategy”) and are riding it as hard as they can. It’s a valid choice to make. I don’t know whether David Grossman or Jonathan Zavin bothers reading these blogs and the comments section, but they should both know that I respect them deeply as attorneys. They have a very challenging job to do while all I have to do is read what they write and pick it apart. My job is easy! There’s no way I could be a lawyer. I couldn’t bring myself to take on a case I have ethical problems with. In a criminal case, I couldn’t defend someone I believed was an unrepentant murderer, trying to avoid the consequences. These people are entitled to a defence so they can have a fair trial. I just couldn’t be the one to deliver it. Likewise, I couldn’t bring myself to help stomp on the little guy when I believe he hasn’t done anything wrong, not morally at least. Thanks again for all your time and effort into this blog Jon. Are you paying for access to the court filings, or are they a matter of public record? Well, come on. Where’s part 2? I’m waiting!!! I read both responses, and I think in this case despite some of the assumptions Plaintiffs made that you point out are incorrect, I think they made some of their strongest arguments yet. Anyway, I’ll likely edit through what I wrote and then post Part 2 sometime tomorrow. Editing is key because what makes perfect sense in one’s sleep-deprived head two hours after midnight isn’t necessarily quite as coherent in the morning! Yes, it does. But it’s so CUTE!